He has a very streamline menu offering the best of the best. Authentic Cajun Gumbo, Bayou Boogie (Chicken, sausage and tasso served over rice), Crawfish Etouffee, and Crawfish Pistolettes. On this day, we weren’t there for any of that we. 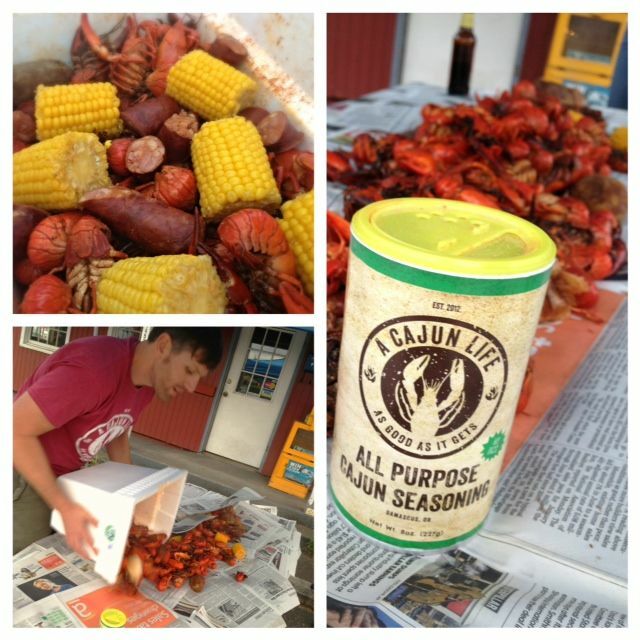 We were there for a Crawfish Boil. As we arrive Chris is just finishing up getting all the food out of the cooker. He puts it in containers to keep it warm. He then spreads newspaper all across a table and dumps it all out on the table. 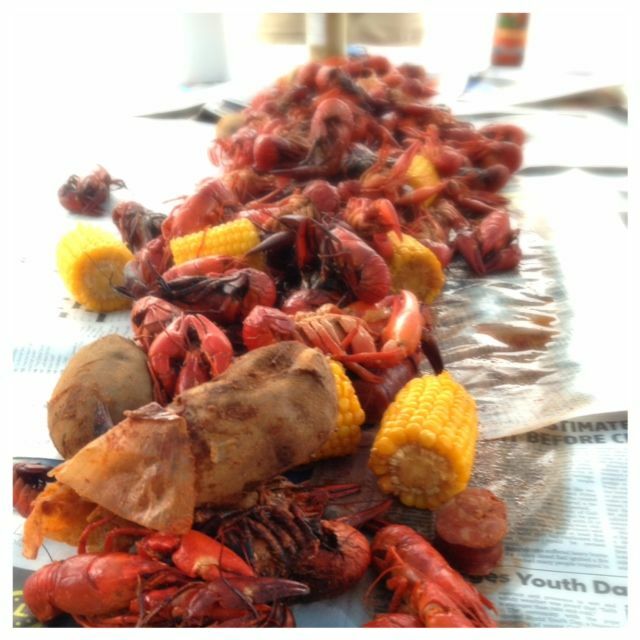 There are tons of crawfish, potatoes, onions, sausage and corn on the cob. Then the free for all starts. Chris explains how to eat the Crawfish, which is good, because I had no idea. You just dig in and eat and eat and eat. The sausage is very spicy, then add their very own special seasoning and it just got a little spicier. Don’t worry, it’s nothing that a beer can’t take care of. Which by the way, you need a good beer to wash this all down. The corn was so good with the seasoning, I couldn’t stop eating it. The potatoes were really, really good. You sprinkle a little of the seasoning on them and oh man! Everything, was spectacular. Such a great time, great food, and new friends. 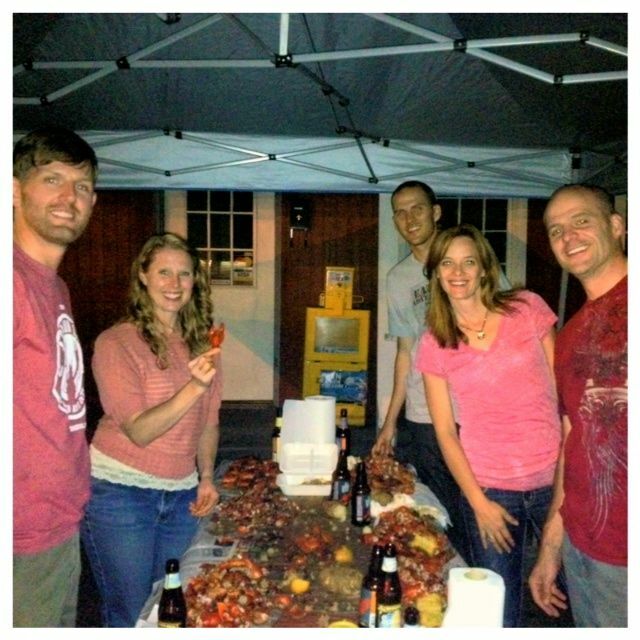 Crawfish boils aren’t just about the food, it is also a very fun social event. We talked, we laughed and we just had a great food adventure. I encourage you to try one of these if you ever see one offered. I did notice that Chris is thinking about doing these more often. Check out his Facebook page and let him know you might be interested. If you want to start small and just try a few menu items, you can’t go wrong there either. Make sure you check out his site for hours, as they are very limited. If I were you I would take a few minutes to poke around his site, I think I saw a coupon on there. Also, if you are interested in his seasoning you can purchase some of that too. It’s all on his Facebook page. Atmosphere is very sparse, I guess you could say. The cart sits by itself on this piece of property and they set up a table for us to stand at for the Crawfish boil. Pricing is good. Most things cost $8 each and they are large servings. Service was great. Chris was very hospitable. 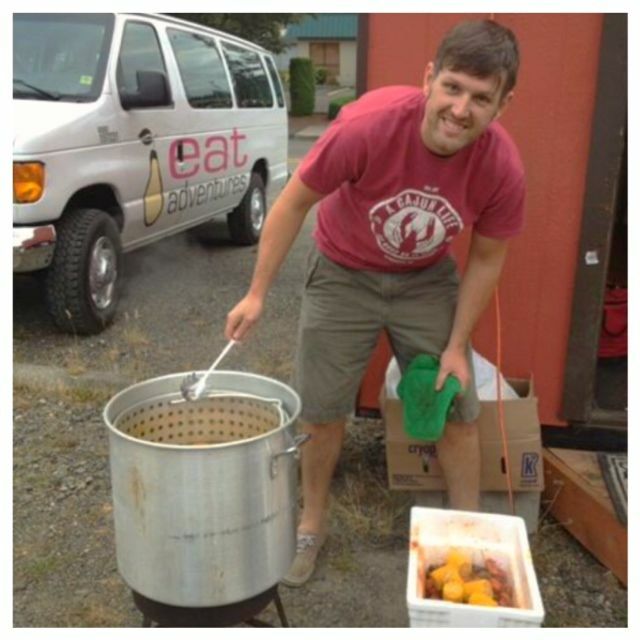 He shared his story, his passion and made sure we had plenty to eat and knew what we were doing. A Cajun Life is located in Damascus. Maybe I missed it in the article, but I thought it would be worth noting that Chris has branded his own seasoning and is now selling it. Super delicious and easy (goes on almost anything)! Great post Amy, and thank you joining us! Yes, it’s on there. You can order through his Facebook page. Thanks for noting it again though Angie. We don’t want anyone to miss that! !